Danny Kimpton in Premier League manager’s chair!? Danny is a second year BA(Hons) Accounting & Finance student at Manchester Metropolitan University and has contributed to a wide variety of volunteering projects this year. In doing so, Danny has managed to log over 150 volunteering hours and his contributions to the MMU Sport Volunteering programme is recognised widely by both staff and fellow students. We spoke to Danny about his experiences and what winning this award meant to him! What volunteering activities have you been involved in since September 2015? Since September I have been involved in many different volunteering opportunities. Most noticeably, I have helped out at The Manchester college games, on the FA schools programme and I am also the Chairperson of the Men’s Basketball Club. The Greater Manchester College Games was an amazing event, run by a team of sports volunteers. 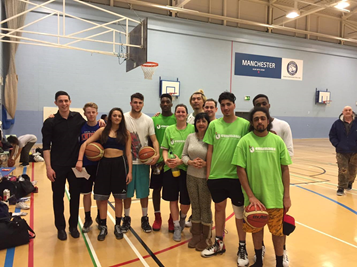 On the day over 100 college students attended from all over Manchester and it was my role to coordinate the Basketball tournament. It was great to interact with college students and hopefully teach them a thing or two on the court. The FA Schools Programme allowed me to coach football within local schools. Despite football not being my main sport, I have learnt a lot from this opportunity and has given me the confidence and motivation to run a similar programme with our basketball team next year! Finally, being the Men’s Basketball Chair has been amazing. Despite not being able to play this season, I have gained so much from providing opportunities for other students to play Basketball. Not to mention, we won the Division 2A league!! 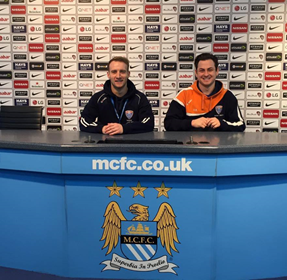 Why did you initially get involved in volunteering at MMU sport? What were your motivations? 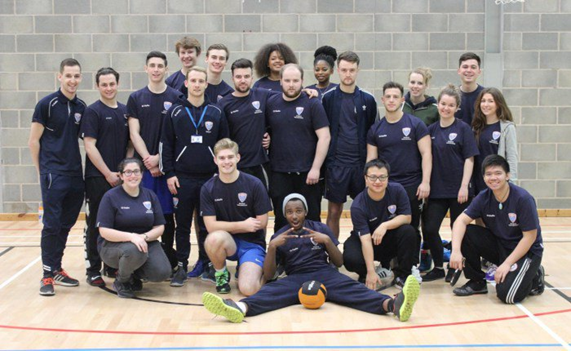 I initially got involved in volunteering at MMU sport because I had no idea what I wanted to do when I finished university, I thought it would give me many transferable skills and experience in many different areas that I thought I might want to do when I finished university. I also started because I wanted to help local communities get active and promote MMU basketball as a brand in schools. What have you gained from volunteering at MMU? In terms of developing myself, I have learnt a host of new skills that help me in my day-to-day life as well as my academic and professional pursuits. These include improved confidence, independence and developing my people skills. Volunteering is a great way to do this as there is relatively no pressure on you and you are thrown into real-life working situations where you can test yourself. Furthermore, I am looking to work in schools in the future and a pathway into schools without previous experience would not be achievable. Has there been a standout event / moment from the year? My stand out event had to be the Etihad trip I was so kindly invited to. Even though I am not a Manchester city fan, it was still amazing to be able to sit in the chair of a premier league manager on both pitch-side and in the press conference. What would say to someone who is thinking about volunteering? Definitely do it, it is one of the best decisions I have made since starting at MMU. I did not do any in my first year and only a small amount in my second but this year I had jumped in headfirst and had many amazing experiences. What does winning this award mean to you and how will it help you in the future? It means a lot to be recognised for the hard work I have done, but it was a surprise, as I did not even know about the award until I got the email saying I had received it. Volunteering looks great on your CV and to have an award from your university highlighting your commitment is going to make employers look at me in a much better light.